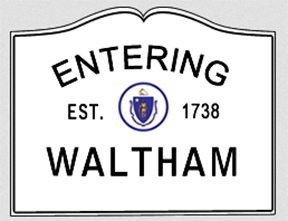 WOBURN- Middlesex County District Attorney Marian Ryan has announced that Beryl Porter, 61, of Waltham, pled guilty to larceny over $250 from a person over the age of 60, six counts of larceny over $250, four counts of uttering forged checks, two counts of failure to appear in court, one count of securities fraud and one count of being a common and notorious thief. Judge Peter Krupp sentenced the defendant to three years to three years and one day in state prison. Judge Krupp also sentenced the defendant to five years probation when he is released and ordered the defendant to stay away from, and have no contact with the victims, undergo mental health treatment and pay restitution in an amount to be determined at a future hearing. In 2010 Porter solicited and obtained thousands of dollars in investments and loans for, a company he claimed to have formed. The victims in this case were provided with documents that purported to be “partnerships agreements” which contained false information about who was investing, what the investment amounts were, stock certificates, and a “guarantee” that investors could get their money back upon demand. Once investors provided the money, Porter deposited the funds into a bank account for his personal use. Porter also began writing forged checks in 2013. In one instance he deposited into his account a $9,000 forged check payable to himself drawn on his girlfriend’s account. In another situation, Porter forged a check worth $20,000 to pay someone whose family had given Porter money for his securities fraud scheme. He was indicted by a Middlesex County Grand Jury on May 28, 2015 and arraigned on June 17, 2015. On July 12, 2016, he failed to appear in Middlesex Superior Court and a default warrant was issued for his arrest. On January 19, 2017, Porter was apprehended by the Middlesex County Sheriff’s Warrant Apprehension Unit in Natick. Following his return to Court in January, Porter was found to have violated his bail conditions and was held without bail. The prosecutor assigned to this case was Assistant District Attorney Graham Van Epps. The Victim Witness Advocate was Joseph Bernstein. District Attorney Ryan encourages anyone who believes they have been a victim of a scam to speak up, tell someone and report the crime to a law enforcement authority.